We regularly post about technical delivery on GOV.UK Verify and here’s the latest news from the team. We’re working on 3 technical delivery priorities: increasing user and departmental adoption of GOV.UK Verify; improving the completion rate for GOV.UK Verify users; and improving and maintaining GOV.UK Verify. In the last month, we focused on two of these. Here’s a summary of what we’ve been working on since our last update back in November and what we plan to do next. To increase the adoption of GOV.UK Verify, we’ve recently started two projects. We are analysing how we can support certified companies who wish to advertise GOV.UK Verify, and the services users can access with it, to their customers. We also started a project looking at offering multiple levels of identity assurance for government services. This will enable departments, where appropriate, to offer users digital services that do not require a high level of identity assurance. We want to continue improving the way we run the GOV.UK Verify federation and operate the live service effectively. To continue keeping GOV.UK Verify available and secure we’ve made improvements to the way we encrypt messages exchanged between government and certified companies to ensure users’ personal data continues to be kept safe and secure. enjoy a bit of time off over the festive period. 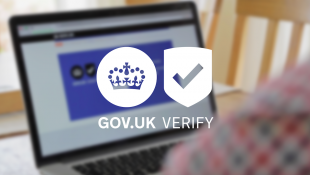 Subscribe to the blog to keep up to date with GOV.UK Verify's latest technical developments. what LoA do you currently provide?